All Sisters homes currently listed for sale in Sisters as of 04/20/2019 are shown below. You can change the search criteria at any time by pressing the 'Change Search' button below. If you have any questions or you would like more information about any Sisters homes for sale or other Sisters real estate, please contact us and one of our knowledgeable Sisters REALTORS® would be pleased to assist you. "R&B Ranch is 507 acres with stunning Cascade Mountain Views. 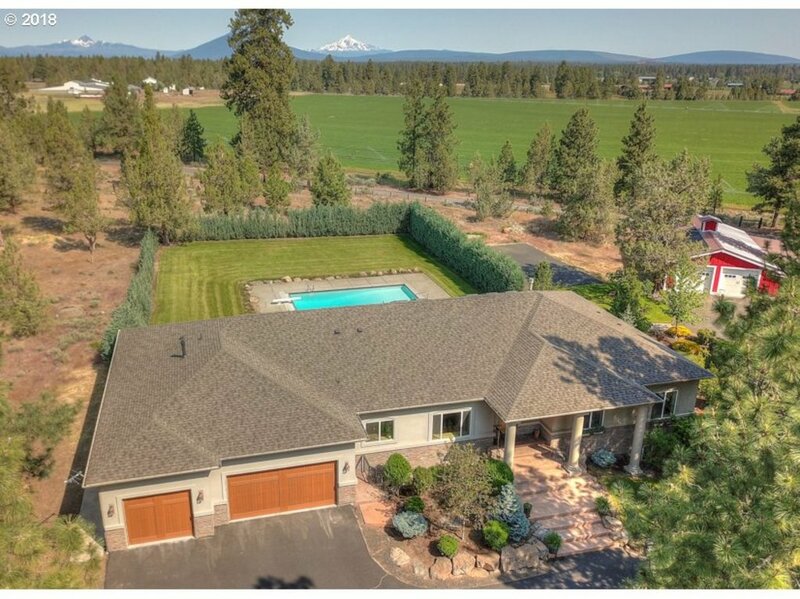 Main Home is a Custom NW Style Single Level 14,666 sf, 8 bed, 8.5 bath, high quality finishes throughout.This legacy ranch includes barn with saloon, indoor arena, rec barn, 9 bay shop, racetrack, livestock barn, 193 acres of water rights, 6263 sf guest home, 3727 sf managers home, stocked pond & additional building sites. Estate Property is one of kind in Oregon!" "NEW PRICE! Steel REINF Concrete Brick Home with tile roof = superior insulation! 28' ceiling in great room, wood burn FP. Hickory floors & solid cherry cabinets thru out. Sub-Zero, Wolf, dual ovens, Miele in granite in kitchen. 3 BDRM each w- private bath. Media, Office, Powder room, 900 bottle temp-controlled cellar. 3 car GAR. 20x50' RV GAR. Built in BBQ & fire pit. Gated, lake front, golf course, pool/hot tub, W/O facility." "Nestled in the Pines! Custom-built craftsmanship at its best. Two-story with Master on the main, two bedrooms up, with a huge bonus room. The massive king truss log entry welcomes you in through beautiful knotty alder doors into the Great Room. The feeling of having the outdoors in has been achieved with fantastic windows positioned perfectly throughout the entire home. The Kitchen is a masterpiece!" "Custom-Solid ICF-5200sf Home on 6 Acres + Shop & Pool! Incredible 5Bd/4.5Ba 2006 built w/stone fascia, radiant heat, 10'' walls w/Venetian plaster, 10'ceilings, solid knotty-alder doors, great room w/gas FP, open dining/kitchen w/slab granite, island/B-Bar, SS appl, Mt. Jefferson view, Master w/pvt office/nursery, dbl stone vanity, soak tub + dbl tiled shower, huge family/media room w/9' ceiling, full wet bar, and a work-out room." "Private Sisters home on 1.4+ acres + 1600sqft shop/hanger! Rare find in Eagle Air Estates-Air Park. Perfect for pilots OR someone looking for great home separation in a development of only 12 homes on 60 acres! Custom remodel down to the electrical/plumbing in 2009! Wrap-around covered porch,Great room w/wd stv & slate hearth,4Bd/3Ba (3-suites! ),2100+sqft,upgraded custom features throughout,att 2-car,covered back deck w/great Mtn Views!" "Would you like a luxury vacation cabin near world class dining, entertainment, hiking & biking? Then this cabin nestled in the pines is perfect for you. Master suite on the main floor allows you privacy as you host friends & family in beautiful Sisters & Central Oregon. 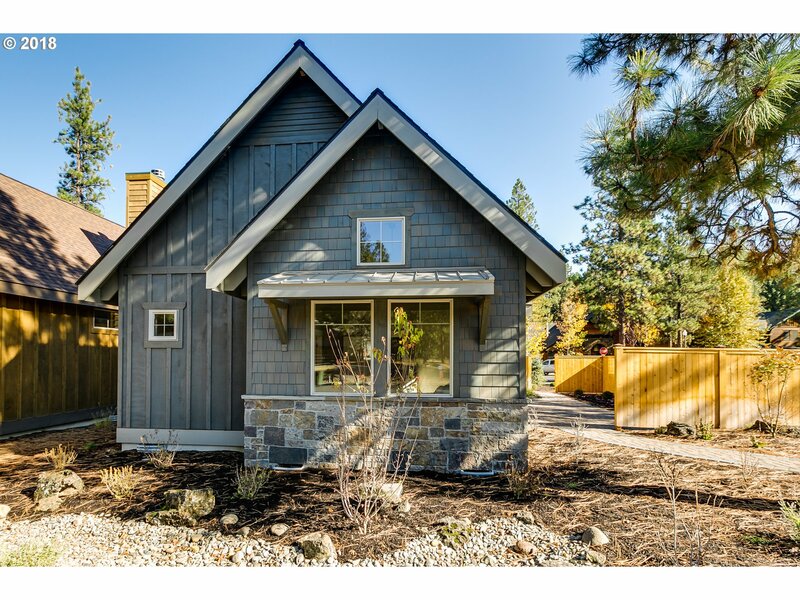 With festivals and entertainment year round, you'll want to visit this sunny spot often, could also be rented as an AirBnB type, only 1 of 5 allowed in the neighborhood"
"The street name says it all, walk out the front door of your like-new, custom Mid-Century modern home and access hundreds of acres of Deschutes National Forest! 16ft ceiling Great Room with floor-to-ceiling, expansive windows to take in light and all the natural High Desert beauty around you. Contemporary, high-end finshes, clean lines, bright and airy. 3 bed, 2 bath, utility room, open concept!"